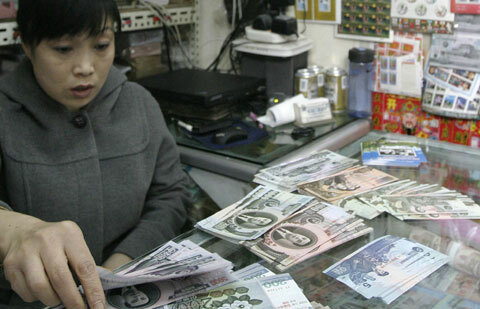 North Korea reportedly plans to ban foreigners from the country from Sunday until early February, apparently to allow unrest caused by this month's shock currency reform to die down. Ju Sang-song, the minister of People's Security, is in China, according to the North's Korean Central News Agency, though it gave no reason for his visit. The trip by the North's top internal security official may aim to seek cooperation from Beijing in preventing a mass exodus of North Korean middle class citizens angry over the devaluation of their savings. One source in China said that Pyongyang would bar foreigners from entering the country temporarily at the end or beginning of a year, when customs officials along the border with China are on leave for year-end holidays, but banning them until February is "quite uncommon." Experts say this could herald a visit by Kim Jong-il to China, since the paranoid North Korean leader likes to ensure maximum security along the route of his special armored train. Chinese President Hu Jintao invited Kim to visit at a "convenient" time when he met Choi Tae-bok, the chairman of the North's Supreme People's Assembly, in October. Kim has visited China four times, and twice (in 2001 and 2006) they fell in January. But Good Friends, a Seoul-based organization which provides aid to North Korea, in its latest newsletter said North Korean authorities shut down open-air markets for three days starting on Monday after prices of goods soared following the currency revaluation. The North was to reopen the markets after prices adjust. One researcher with a state-run research institute said, "For North Korea to succeed in its currency reform it needs stable supplies of food and other products, and Pyongyang may have decided that China is the only country it can rely on. That might also make it necessary for Kim himself to visit China."